First, a confession: I don’t read a lot of young adult (YA) fiction. But I do have a now-adult daughter and have had a passing exposure to The Hunger Games, the Divergent series and, of course, the Harry Potter series. And having to endure multiple episodes of That’s So Raven, Hannah Montanna and The Wizards of Waverly Place has given me at least an understanding of the issues facing today’s fictional teens. 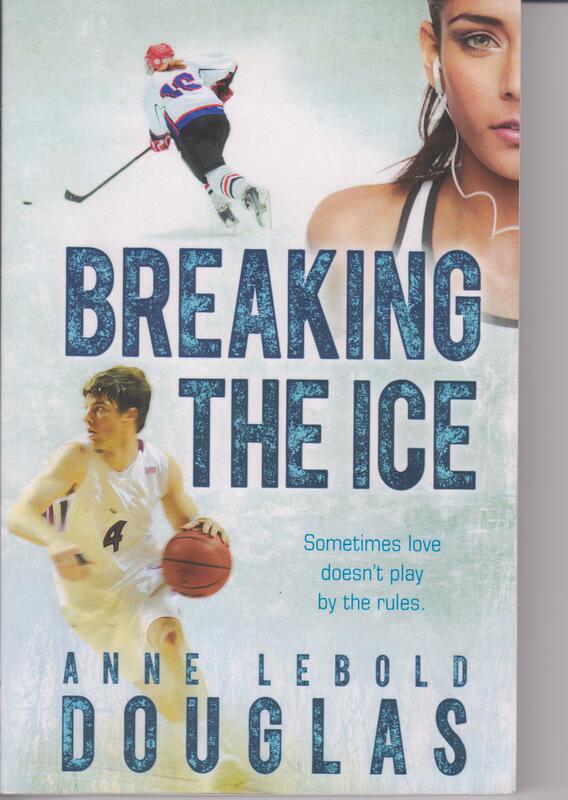 Cracking open Anne LeBold Douglas’ debut YA novel, Breaking the Ice, transported me into the world of Carly and Samantha, teammates on their high school girls hockey team. Together, and individually, they face challenges with relationships, dating, self-identity and faith. Douglas weaves the story to its climax where both Carly and Samantha need to face themselves, what they are and what they could be. Douglas chose to tell the story in first person from each of the girls’ perspectives. She’s succeeded in creating individual voices for each. I’ve heard many a conversation between teenage girls while taxiing my daughter and her friends around and Douglas has hit the tone of teenage angst on the head. Samantha’s and Carly’s struggles, conversations and thoughts ring true. Well-crafted, Breaking the Ice is also an easy read. But it’s not easy to read with a thought-provoking depth that should spark conversations on a number of issues teens face. It’s a novel both parents and YA readers could read together and discuss. Breaking the Ice is Douglas’ first novel Here’s hoping there are many more to come.